Many small business owners will be in uncharted waters this tax season as they try to determine if they qualify for a deduction that could exempt one-fifth of their income from taxes. The IRS issued guidelines last year to help business owners and tax advisers understand how the complex deduction works, but some accountants and tax attorneys still have questions, especially about a section that bars service providers such as doctors, lawyers and consultants from claiming the deduction. Some of these company owners have businesses that don't easily fit into the IRS guidelines for the new qualified business income deduction. 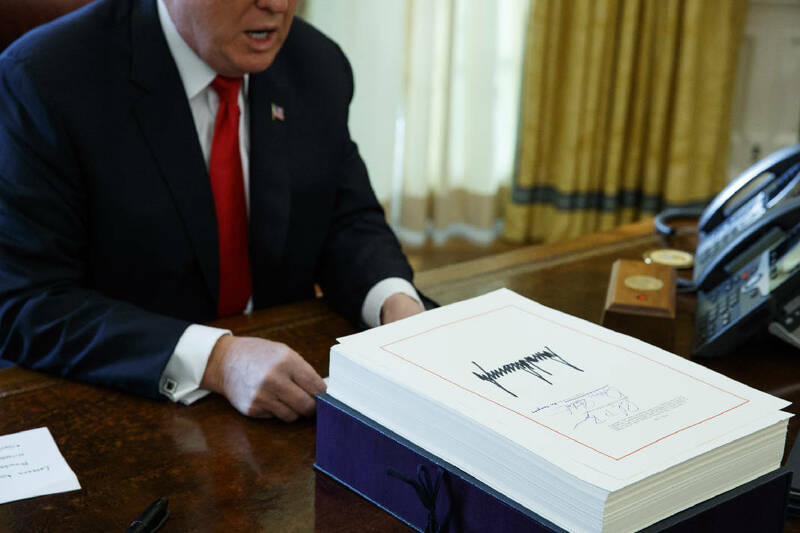 The new tax law, and in particular a new deduction aimed at small business owners, is making this income tax filing season more complicated than usual. The deduction aimed at giving tax breaks to sole proprietors, partners and owners of S corporations allows many of them to deduct 20 percent of what’s called qualified business income. But which business owners can claim the deduction, and how much they can claim, involves a lot of interpretation and complex calculations, tax professional say. › Get on your CPA’s calendar soon. Tax pros always advise clients to see them early in tax season, but it’s even more important to do so this year. CPA Steven Wolpow advises business owners to have those meetings by the end of February. Even if owners don’t have all the necessary documents, they should meet with tax advisers to get a sense of where they stand, says Wolpow, managing partner with Nussbaum, Yates, Berg, Klein & Wolpow in Melville, New York. If documents like 1099s are still outstanding when returns are due, it’s time to get an extension of the filing deadline. Owners should be sure their records are in order before they give them to their advisers. The more time a preparer spends trying to sort out all the numbers, the more expensive it will be for an owner, Wolpow warns. › Expect to do more of the work this year as your tax pro determines whether you can claim the deduction. “They’re used to giving us the information and letting us figure it out. They’re going to have to be very involved as well,” says Angela Dotson, a CPA with Aprio in Atlanta. › If you’re a do-it-yourselfer and don’t use a paid preparer to compile your return, don’t be in a rush to file. The creators of tax preparation software are also still figuring things out and may amend their products before the filing deadlines. That will change the calculations for some owners, Dotson says. Owners who do the work themselves should consider asking a tax pro to look over the return — the investment in their fee may save you from costly mistakes. "There's a lot of conflicting advice out there," says Jeffrey Berdahl, a CPA with RLB Certified Public Accountants. "It's going to be like the Wild West." The deduction is aimed at giving tax breaks to sole proprietors, partners and owners of S corporations; these businesses are known as pass-throughs because company income "passes through" to owners' 1040 forms, where it is reported to the IRS. Before the law was enacted, many of these owners couldn't get the more favorable tax treatment enjoyed by traditional corporations, which enjoyed a cut in the top corporate income tax the federal corporate income tax rate from 35 percent to 21 percent. The new law allows many owners to deduct 20 percent of what's called qualified business income. "If someone has a sole proprietorship and they have $100,000 of income coming through on that, they are going to get a deduction on their 1040 of $20,000, assuming their overall income isn't over the limit," says Nicole Jeppesen, a senior tax manager with LBMC in Chattanooga. "This helps equalize the playing field between C corporations and pass-through businesses." They can get the full deduction as long as their taxable income doesn't exceed $157,500 for an individual and $315,000 for a married couple filing jointly. But taxable income includes owners' and spouses' earnings from outside the business — for example, being employed in a different field or industry — and earnings from investments. If taxable income is above the $157,500 or $315,000 threshold, owners may get a partial deduction. There are two critical factors that can limit the size of the break. The first involves the company's W-2 wages, or how much it pays employees, and the value of some of its property; complex calculations go into assessing the impact of wages and property on the deduction. The second factor affects owners who are in what's called a specified service trade or business — for example, health providers, attorneys, accountants or consultants. They have no deduction if their taxable income is more than $207,500 for an individual or $415,000 for a married couple. The IRS spells out the conditions for taking the deduction on its website. Owners whose businesses involve a variety of activities may find that income from some qualify for the deduction while others don't, says Angela Dotson, a CPA with Aprio in Atlanta. An optometrist who treats patients may not be able to claim the deduction for that work. But the same optometrist who also sells eyeglasses and contact lenses may be able to use the deduction for that income. Another example: A graphic designer who consults with clients but also creates websites. "You're consulting, but also selling a product," Berdahl notes. There might be some unpleasant surprises when owners in such situations get to their CPA's offices. The new law requires separate records for the different types of work. "They might find their books may not be in good shape for tax reform — they may not show the data CPAs will need to know," Dotson says. In that case, either the owner has to go back and change the books, or pay extra to have their tax advisers do the work. "If you are a real estate developer and somebody that owns real estate as investment property, you probably can aggregate," Farra says. But someone who owns a cleaning service and an auto servicing shop wouldn't be able to aggregate their income. The guidelines the IRS issued in August aren't set in stone, although the agency said taxpayers could rely on them in compiling their 2018 returns. The agency has issued proposed regulations, and tax professionals have already asked the IRS to clarify a number of issues, including which service providers can claim the deduction. For example, the New York State Bar Association, which asked the IRS for multiple clarifications, said many taxpayers, including those who rent a small number of real estate properties, may be uncertain about whether the deduction applies to them. Many of Ed Reitmeyer's clients don't like to get extensions of the filing deadlines for the returns. But the uncertainty about the new law is a good reason to get an extra six months to complete and submit returns, he says. "It may be wise to do so with more clarity coming from Congress or Treasury," says Reitmeyer, a CPA with Marcum in Philadelphia. However, he says the government shutdown at the start of 2019 and the the political atmosphere surrounding tax policy, "it may take well into the summer to gain any clarity at all."